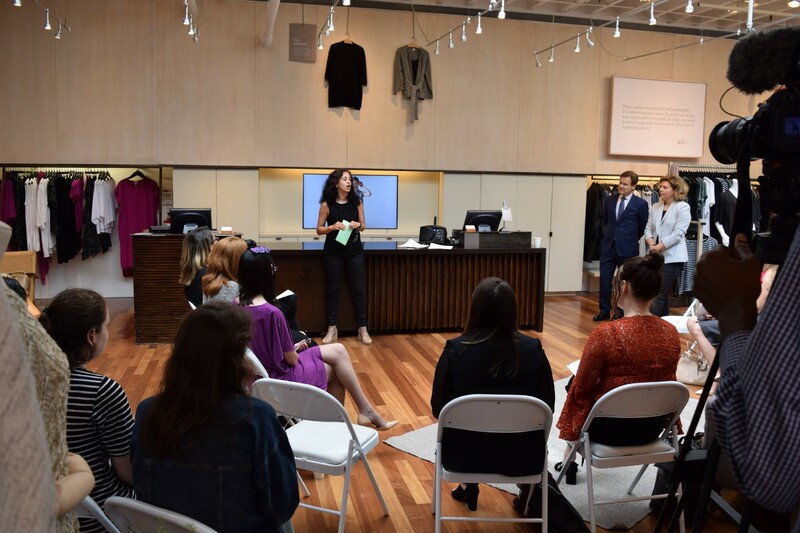 NEW YORK, July 30, 2018 — Launching in New York City on September 5, 2018, Fashion Week Sustainability Store Tours (http://fashionweekstoretours.com) are curated experiences designed to provide fashion professionals, enthusiasts and shoppers with a behind-the-scenes look at how innovative and sustainable fashion designers leverage their creativity and how they use the latest sustainability technologies to drive demand for their brands. The Eileen Fisher store in SoHo is featured in the program as it is at the epicenter of sustainable best practices in fashion. The Fashion Week Sustainability Store Tours during Fashion Week is a specialty themed tour that focuses on stores that exemplify the very best in sustainable practices. After an exciting presentation from a sustainability expert, the participants will have a chance to visit an elite collection of stores. At each store, a brand representative will be on hand to explain the finer points of their businesses. Participants receive a printout outlining the fine points of sustainable fashion and a list of other stores to visit. The creation and development of this unique platform was informed by conversations with fashion designers, fashion sustainability experts as well as retailers inside and outside the fashion industry. Its approach is comparable to Retail Store Tours (http://retailstoretours.com), launched in January by FWST CEO Daniel Hodges at Retail’s Big Show, the event staged annually in New York City by the National Retail Federation. New York City was selected for the launch of Fashion Week Store Tours because of the city’s concentration of fashion experiences and innovation and its easy-to-walk streets. Although currently offered only in New York City, the program will be expanded in 2019 to offer tours in San Francisco, Los Angeles, Chicago, Las Vegas, Miami, London, Paris, Milan, Barcelona, Dubai and thirteen other cities.